What Types of Grasses Thrive in Washington State’s Climate? Whether you choose hydroseed or sod, the type of seed mixture needs to be carefully chosen in order to suit the climate and purpose. Western Washington’s climate is a mix of coastal with wet winters and mostly mild, dry summers. Grasses for the northwest are labeled as cool season and achieve the best results in cooler temperatures. Grass types are determined primarily by climate, but other factors play a role as well. Altitude, yearly water and snow levels, soil type, and wind patterns all determine the hardiness of zones all over the country. Once the hardiness zone has been determined, it’s important to also consider the use type. Will the area be used for livestock? Or will it be for a sports field? What about front lawn grass? Here’s a breakdown of which types work for each situation. Fescue is suited a wide range of zones. Grows well in Washington and most other inland zones. Tough, tufted grass. Best to plant in Spring or Fall. Lush, dark green color, low heat tolerance. Dormant during cold months. Grows fast and looks rough/rustic. Durable and attractive. Looks like fescue. Grows quickly. When Country Green chooses a grass type for its clients, we will use a mixture of a variety of grasses. For instance, horse pastures will usually require a combination of 30% Timothy, 30% Perennial Ryegrass, and 20% Annual Ryegrass. Smaller portions of Orchardgrasses will be added in as well. This mixture is suited to horse pastures because it contains all forage grasses with no clover as horses can have adverse reactions to certain types. It’s also perfectly balanced for weather conditions in Western Washington. 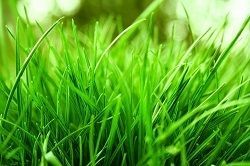 Residential lawns that receive plenty of maintenance use a combination of Fescue, Kentucky Bluegrass, and Ryegrass species. This makes the lawn incredibly resilient and adaptable. This mixture is also good to use around commercial buildings and public parks where grasses are continually mowed and maintained throughout the year. We do not use Fescue for sports or recreational fields but a 2/3 to 1/3 mixture of Perennial Ryegrass and Kentucky Bluegrass. These grass types are tolerant to wear with a high surface resiliency. A versatile mixture of Fescue and Ryegrass are best suited for areas that don’t receive a full day of sunlight. These species tolerate lower levels of sunlight as well as fertilizer and water. However, this combination thrives best when exposed to at least 4 hours of direct sunlight per day. 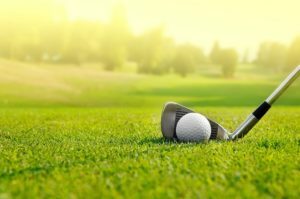 For areas on slopes or are otherwise prone to erosion, we recommend a hydroseed application of Fescue, Ryegrass, and Kentucky Bluegrass as well as a species called bentgrass. This type of grass is commonly used for golf courses due to its ability to tolerate low mowing and foot traffic. We use this type in mixtures for roadsides, slopes, wetter sites, retention ponds, and bioswales or rain gardens.